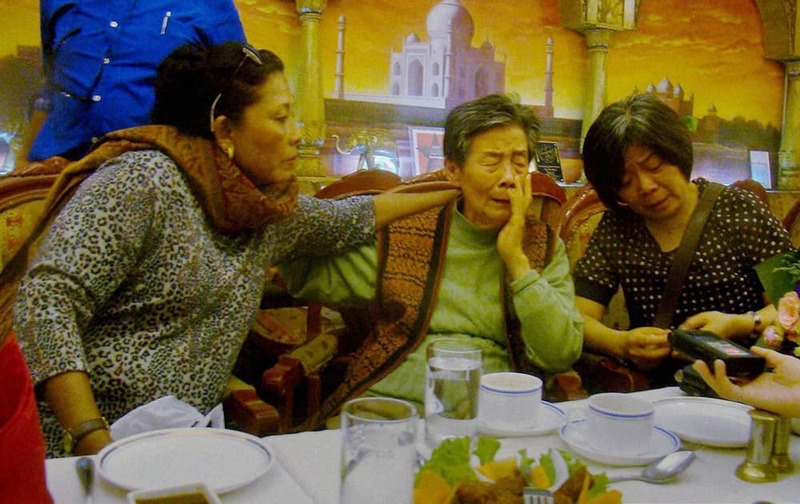 Indian woman from Chennai, Jennifer An consoling her step sister from China An Roesai (81) as they united in Beijing on Wednesday after about 75 years after their father left for India and settled in Chennai where he remarried a local woman. 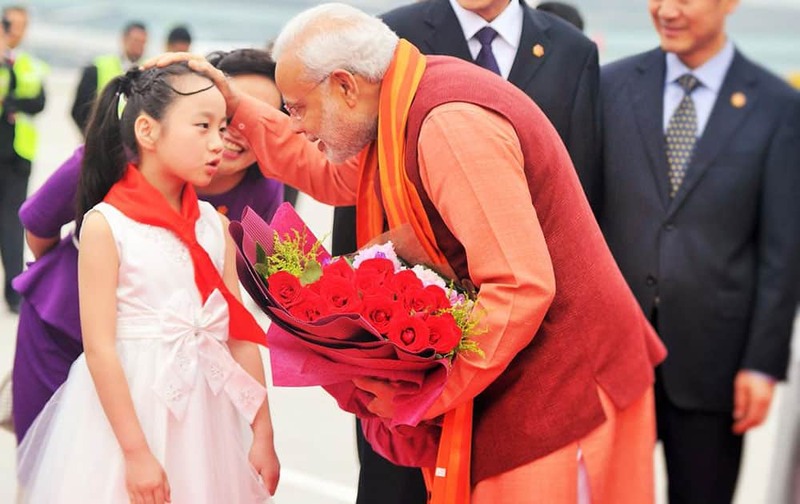 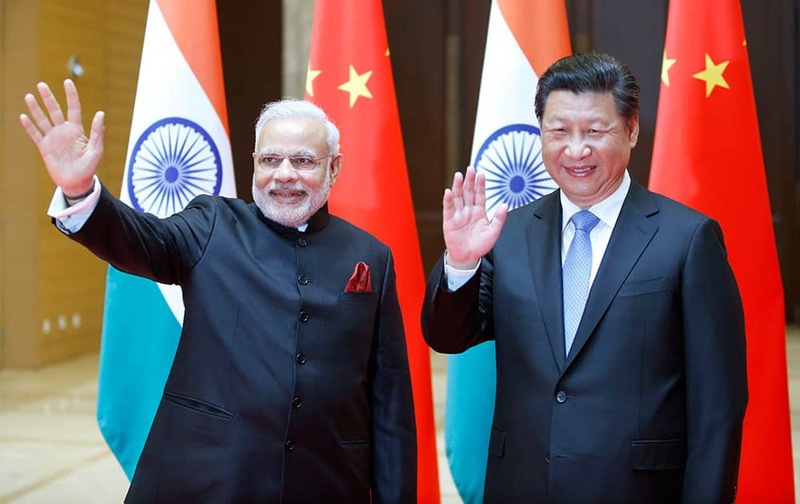 Jennifer came along with her husband V R S Balaji to search for Roesai on the sideline of Prime Minister Narendra Modis visit to China. 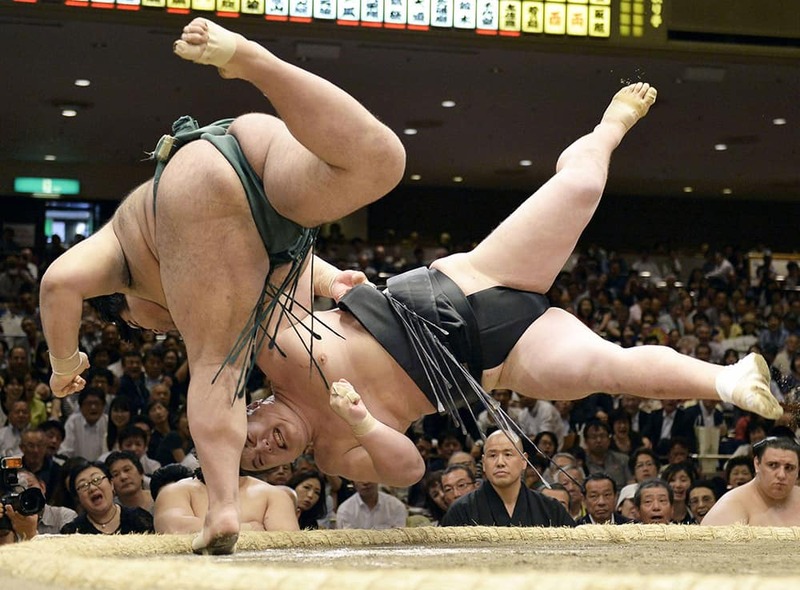 Sumo wrestler Takayasu, left, throws opponent Ikioi to win their bout on the fifth day of the Summer Grand Sumo Tournament at Ryogoku Kokugikan sumo arena in Tokyo. 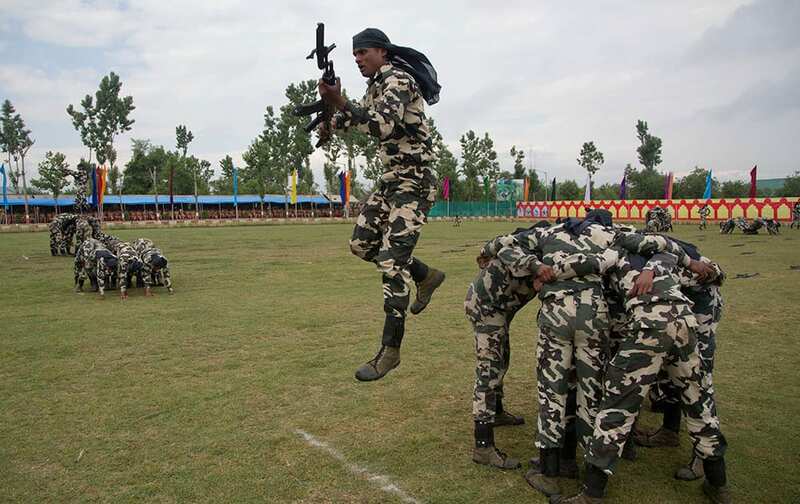 Central Reserve Police Force (CRPF) personnel display their skills during the commencement parade of 341 newly recruited soldiers at a base camp on the outskirts of Srinagar. 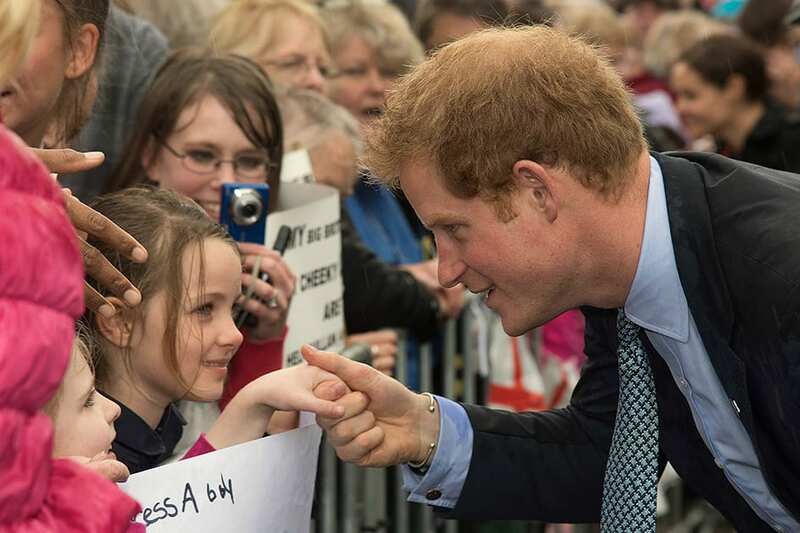 Britain's Prince Harry, shakes hands with a young girl while visiting the War Memorial Centre in Whanganui, New Zealand. 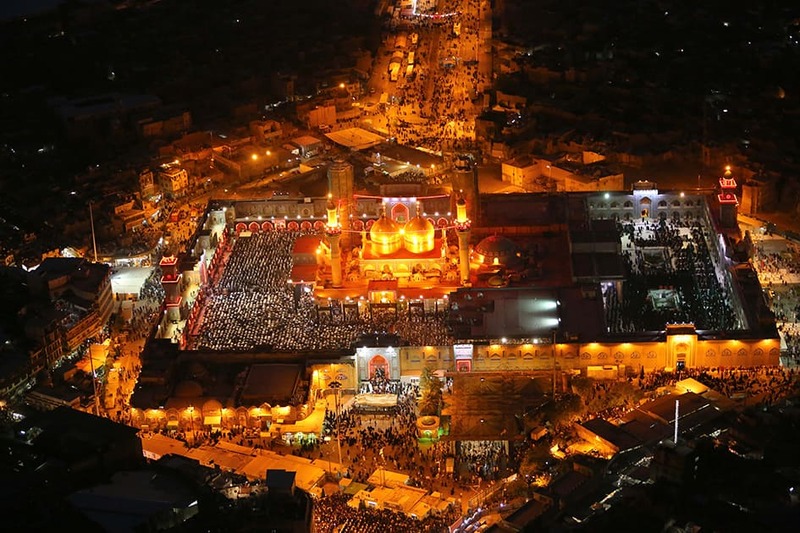 An aerial view of the holy Muslim Shiite shrine of Imam Moussa al-Kazim as pilgrims gather to commemorate his death, in the Shiite district of Kazimiyah, Baghdad, Iraq. 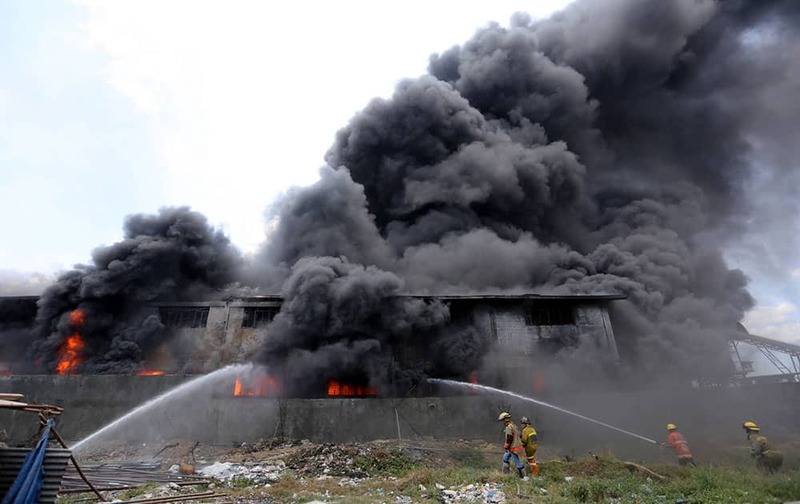 Firemen train their hoses at the burning Kentex footwear factory at Valenzuela city, a northern suburb in Manila, Philippines. 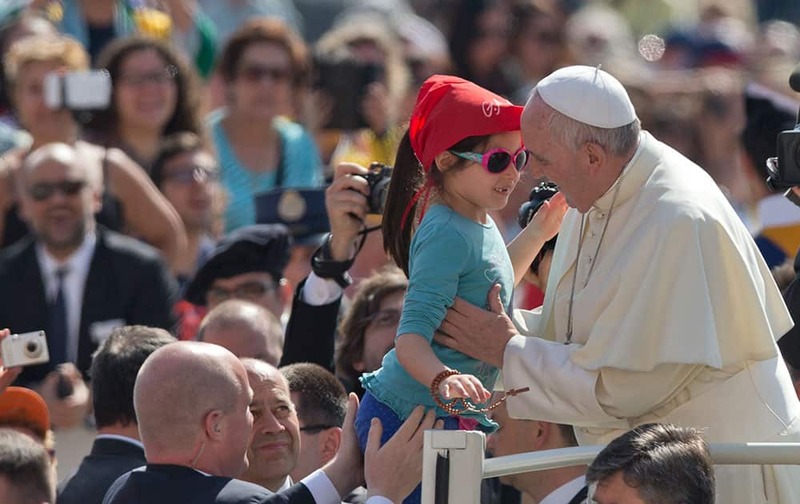 Pope Francis kisses a young girl as he arrives for his weekly general audience in St. Peter's Square at the Vatican. 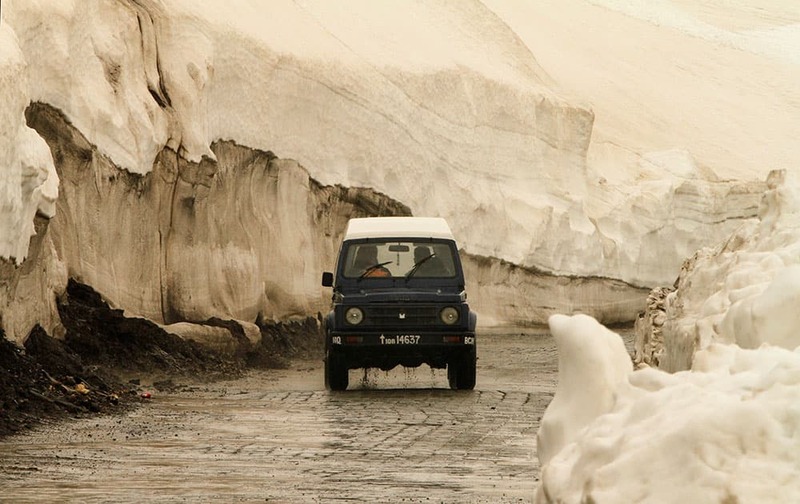 A vehicle drives past walls of snow on the Zojila Pass road, about 110 kilometers (68 miles) north of Srinagar, India. 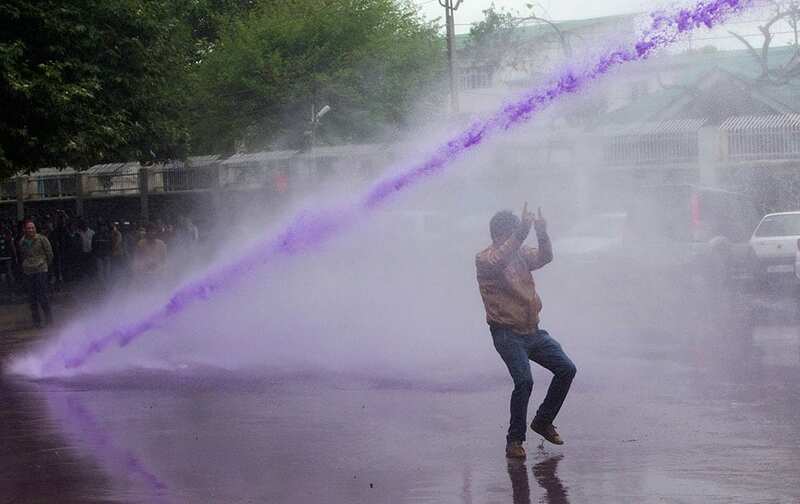 Police use colored water from a water canon to disperse Kashmiri government employees in protest in Srinagar, India. 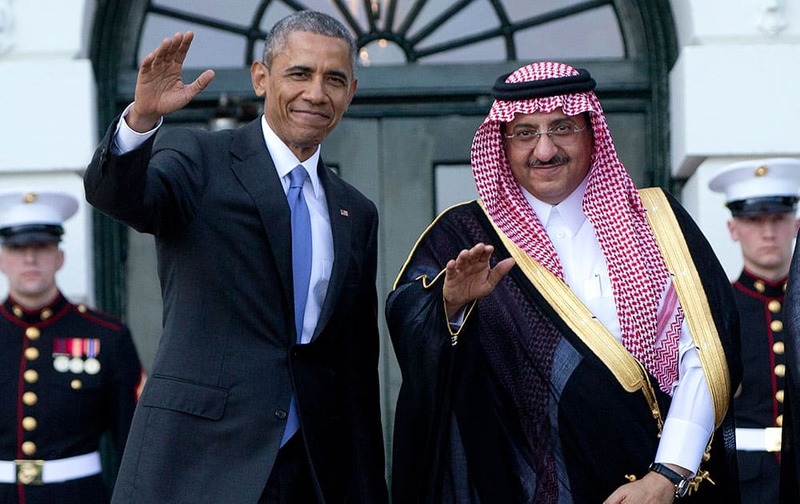 President Barack Obama, left, and Crown Prince Mohammed bin Nayef bin Abdulaziz Al Saud, Deputy Prime Minister and Minister of the Interior of the Kingdom of Saudi Arabia, wave to media as Mohammed bin Nayef bin Abdulaziz Al Saud arrives at the South Lawn of the White House in Washington. 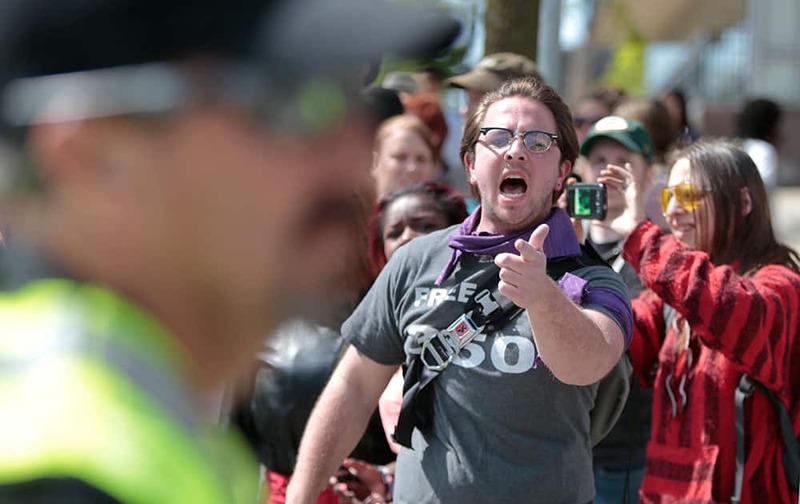 A protester yells at police as others are arrested during a protest in Madison, Wis.
A soccer fan of Brazil's Internacional, poses for a photo before the start of a Copa Libertadores round of sixteen soccer match against Brazil's Atletico Mineiro in Porto Alegre, Brazil. 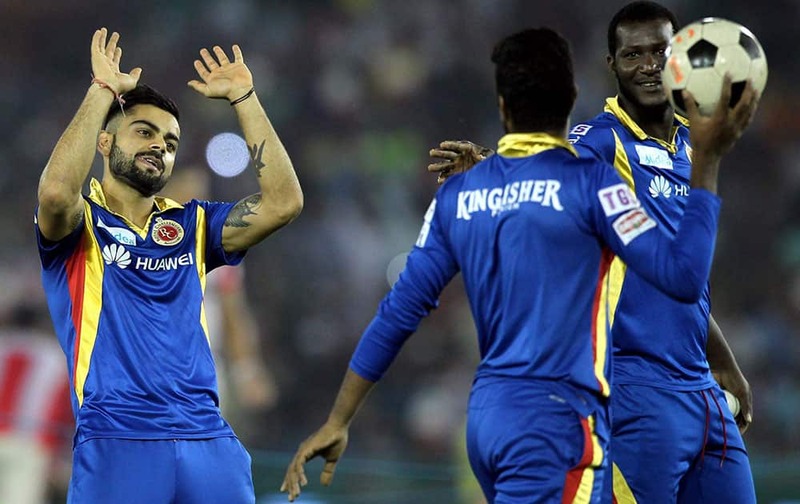 VIRAT KOHLI CAPTAIN OF THE ROYAL CHALLENGERS BANGALORE SHARES A LIGHT MOMENT WITH DAREN SAMMY OF THE ROYAL CHALLENGERS BANGALORE BEFORE THEIR IPL 8 MATCH IN MOHALI.